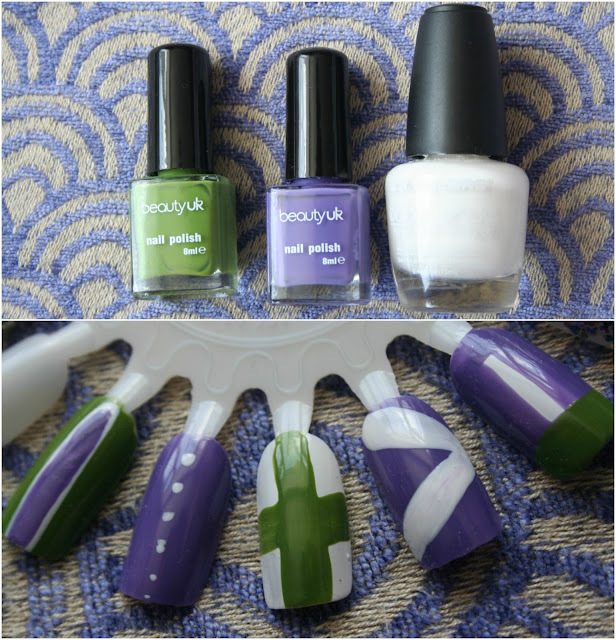 nail polishes used: beauty uk green and purple (from set, unnamed) & la colours energy source. I would have preferred to used darker colours, but I found these two colours to be slightly more summery and matched well. 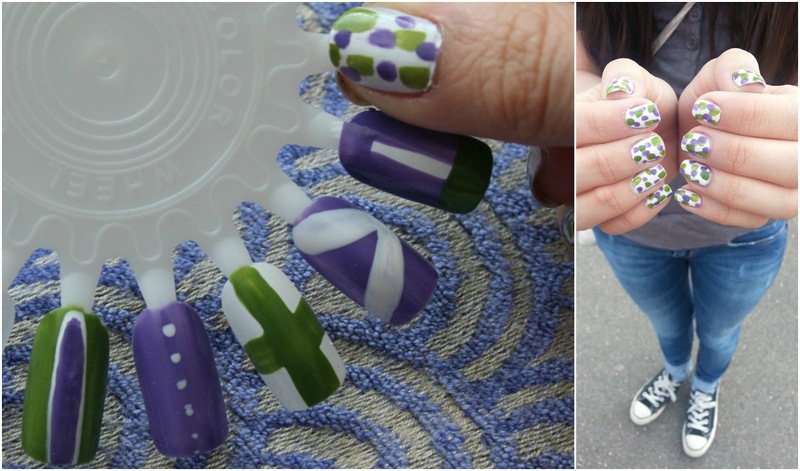 my take on Wimbledon nails: simple polka dots, step by step. other ideas: racing stripes, gradual dots, green cross, curved zigzag & geometric french manicure. After walking into Wimbledon, we took the train home and ate our pre-bought pasta pots in front of Wimbledon on television, and the sense of bliss was restored. 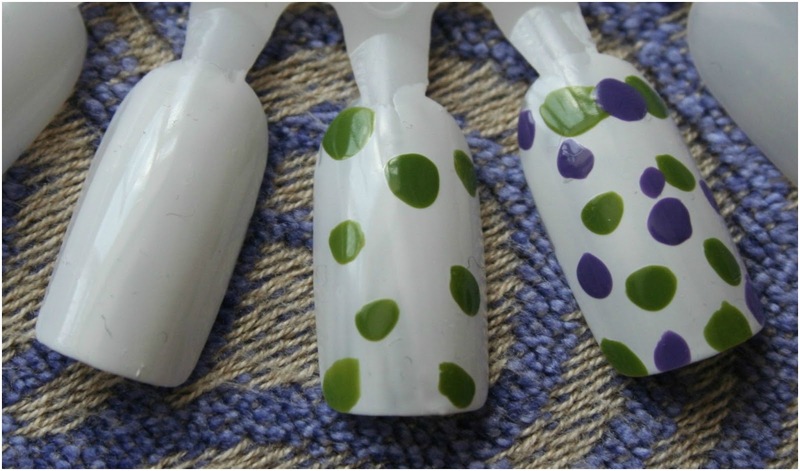 Using the three aforementioned nail polishes, I created five more simple nail looks as shown. I find control and accuracy really difficult, and I'm seriously considering purchasing a simple nail art kit to add to my 90-strong nail polish collection. My favourite look is the curved zigzag, and I would say that the polka dots are the easiest to do. I wouldn't be able to calculate how long each look would take on all ten nails but none are too complex and time consuming. 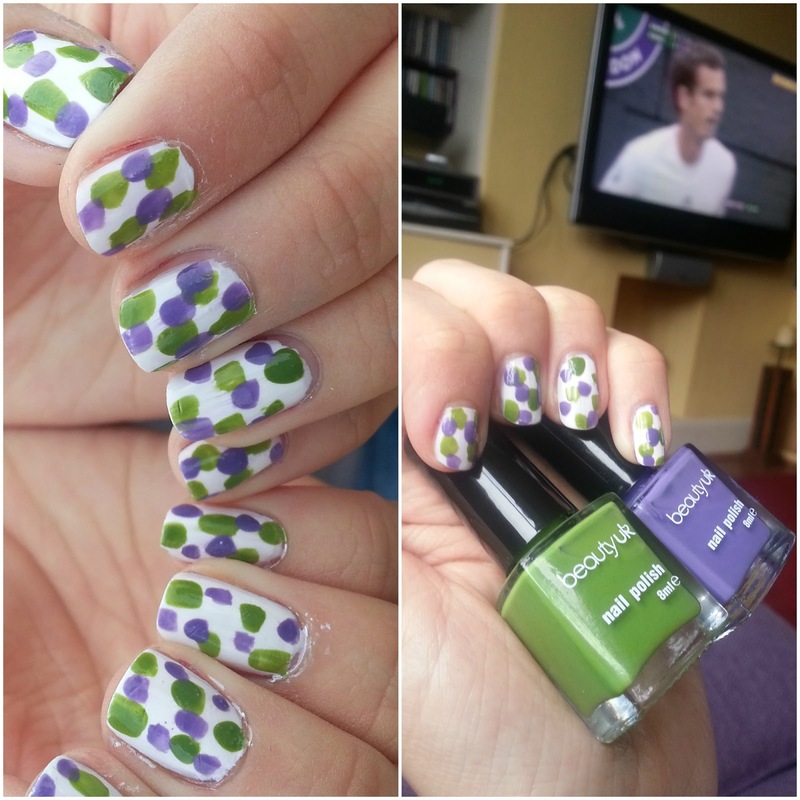 I hope you liked my Wimbledon inspired nails! 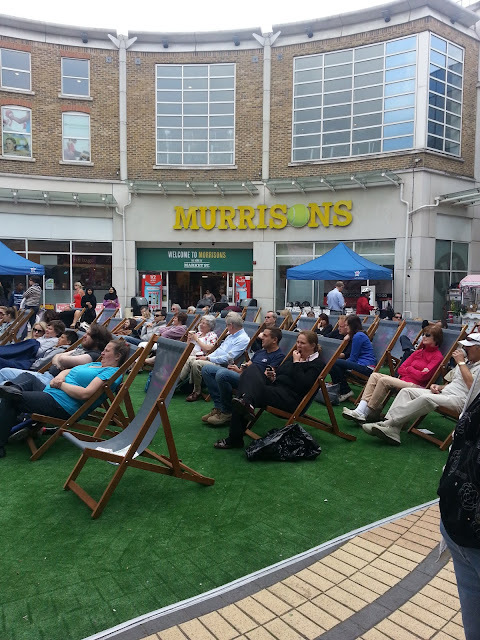 Have you been watching the tournament? My favourites are Murray, Robson (British pride), Tomic (half-Australian pride) and Janowicz, who has one hell of a serve!